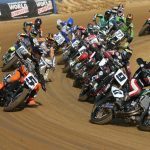 We had a treat last month at the AMA Pro Flat Track season finale, joining the packed grandstands in Pomona, California, for some thrilling dirt-track racing you can read about here. 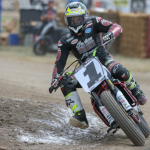 The action on the half-mile dirt oval was intense, with Kenny Coolbeth taking the checkers, but it was Jared Mees who won the championship after his eighth-place finish. While most of the tracks in the series are on simple ovals, there are two TT circuits on the schedule. The TTs are raced on motocross-based machines on a track that includes a jump and a right turn that adds a literal added dimension to dirt-track competition. 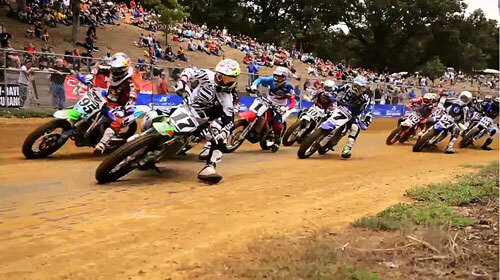 Seen below is an excellent video from this year’s Peoria TT round in Illinois, the longest running dirt-track race in the world. 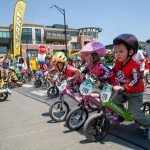 The action focuses in on Bell-sponsored riders Henry Wiles and Mees who battled for top honors. Although Mees went on to championship glory, it was Wiles who proved himself to be one of the best TT riders in history by securing a record-matching eighth-consecutive victory at Peoria.